Thank you for your interest in converting to Judaism. Conversion is not something we take casually or lightly. It is a spiritual transformation that is life-altering in practice and identity. Judaism welcomes the conversion of those who are fully committed to live a rigorous Jewish lifestyle, observe Jewish law, subscribe to Jewish beliefs, aspire to Jewish values and ideals, and participate and contribute to the Jewish community and people. While our Beth Din is eager to help candidates realize their goal in a timely fashion, performing conversion requires evaluation and deliberation and is ultimately an awesome responsibility which takes time and patience. We look forward to getting to know you and assisting you, if appropriate, in becoming a proud Jew. Our Beth Din is comprised of South Florida rabbis who volunteer their time as dayanim (judges) in supervising, and when appropriate, performing conversion to Judaism. 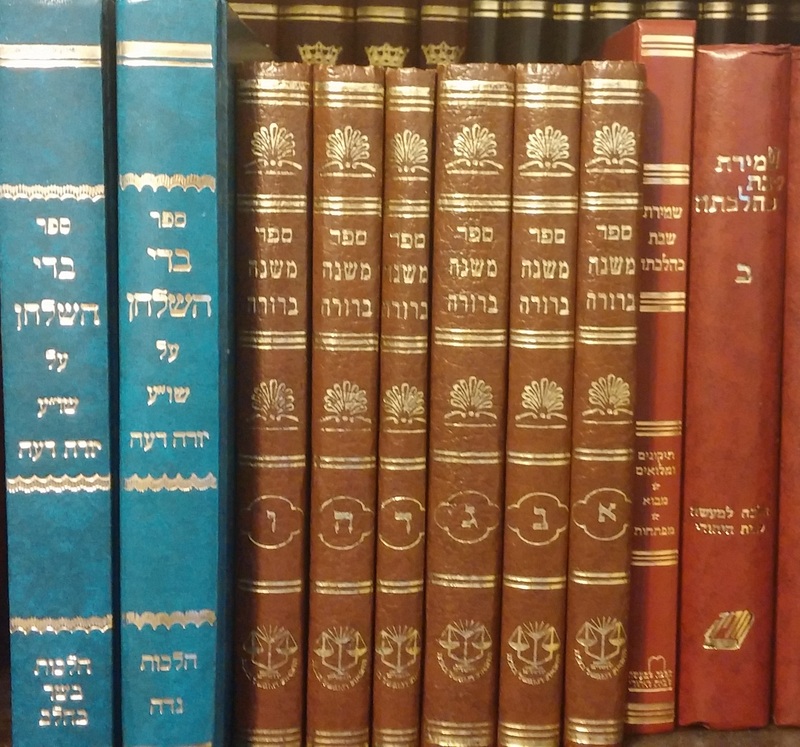 Our Beth Din is a member of the GPS (Geirus Policies and Standards) system which operates under the auspices of the Rabbinical Council of America and the Beth Din of America, and ensures that we operate under the strictest of halachic and professional standards. You can read about the policies and standards here. Being a member of the system also ensures that the Chief Rabbinate of Israel recognizes and accepts conversions performed by our Beth Din. We recognize that meeting the Beth Din can be intimidating. Please know that all of our meetings and discussions are completely confidential. Once you have been accepted as a candidate with our Beth Din, we pledge to respect your time, be responsive, accessible, sensitive, and respectful. While our Beth Din meets regularly with candidates to track their progress and to gain confidence in their devotion and practice, our rabbis rely heavily on the candidate’s sponsoring rabbi and tutor. For our Beth Din to open a file and meet with a potential candidate, the candidate must have a sponsoring rabbi who takes direct responsibility for monitoring the day-to-day learning, practice, and social integration of the conversion candidate. In addition to supervising the candidate, the sponsoring rabbi must be willing to endorse and advocate on behalf of the candidate. Who Qualifies as a Sponsoring Rabbi? The sponsoring rabbi must be on the rabbinic staff of the Orthodox synagogue that the candidate attends. The sponsoring rabbi must apply with the Beth Din to become an approved sponsoring rabbi. The Beth Din may, at its discretion, recommend that a candidate find a more suitable sponsoring rabbi. Candidates who are seeking a qualified sponsoring rabbi should contact the Beth Din. A sponsoring rabbi may schedule an initial meeting for the candidate to meet the Beth Din after he knows the candidate well enough to see a strong desire on the part of the candidate to complete the process. In most cases, this is after the candidate has been living an observant lifestyle for a few months. At that meeting, the Beth Din will provide the candidate with a list of expectations to be satisfied before the next meeting. When the sponsoring rabbi feels that those expectations have been satisfied, he will contact the Beth Din and schedule the next meeting. All requests for meetings must be in writing, preferably through email. It is expected that the sponsoring rabbi will attend all meetings with the Beth Din. The Beth Din will likely ask to meet with the candidate’s tutor as well at some point in the process. The Beth Din meets once a month and schedules meetings with candidates based on availability. The sponsoring rabbi is not responsible to study directly with the candidate but must arrange and supervise the candidate’s study through the combination of classes and a tutor. While the sponsoring rabbi is expected to maintain a close relationship with the candidate, both the sponsoring rabbi and the candidate are expected to maintain appropriate boundaries. If the candidate is female, the sponsoring rabbi must not make any comments that contain any innuendo or threat. The sponsoring rabbi must show the same respect to the candidate that he shows every other member of the community. Commitment & Practice – The candidate must show an unwavering commitment to all aspects of Jewish observance, both the laws that he/she knows and those that he/she does not yet know. The sponsoring rabbi will be asked to evaluate the candidate’s level of commitment to Jewish law, Jewish philosophy, and Jewish values. To that end, the candidate should establish a relationship with the sponsoring rabbi so that the sponsoring rabbi can accurately gauge the candidate’s level of commitment in these areas. Knowledge – The candidate should study the curriculum and be proficient in matters of Jewish law, Jewish faith, the Jewish life cycle, and the Jewish calendar. The candidate should regularly ask questions of his or her sponsoring rabbi or mentor. Social Integration – The candidate must live in an Orthodox Jewish community for at least one year while fully observant of Jewish law before completing the process. During this time the candidate is expected to form social bonds with other Orthodox Jews. 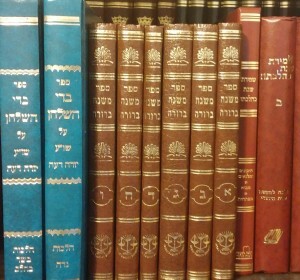 When the Beth Din is satisfied with the candidate’s commitment, knowledge, and social integration, the Beth Din will schedule an appointment to complete the conversion. The process differs for males and females. Males require circumcision prior to immersion in the mikveh. If the candidate is already medically circumcised, a hatafas dam bris is required. This is a minor procedure where a drop of blood is drawn from the circumcision area in the presence of the Beth Din by a trained mohel. This can be done immediately prior to immersion in the mikveh. If the candidate is not circumcised, a circumcision must be performed by an Orthodox Jew in the presence of the Beth Din. We strongly recommend that this procedure is performed in a hospital or surgical center and the Beth Din can recommend qualified surgeons for both adults and children. While general anesthesia is prohibited, spinal or local anesthesia is permitted. When the physician clears the candidate for immersion, the candidate will schedule an appointment for immersion in a mikveh in the presence of the Beth Din. Female candidates require immersion in a mikveh in the presence of the Beth Din. For women, the Beth Din will provide the candidate with a loose-fitting robe specially designed to ensure the utmost of modesty. The robe is completely opaque even when wet and from a halachic perspective, does not serve as a chatzitzah (interposition). As a further precaution, members of the Beth Din do not enter the immersion room until the mikveh attendant (a female) instructs the Beth Din that the candidate is in the mikveh in her robe with her back to where the Beth Din will stand. The robe remains on throughout the process and as soon as the immersion is complete, the Beth Din leaves the room so that the candidate can exit the mikveh privately. Before the actual immersion, both male and female candidates will be asked a series of questions while standing in the mikveh. These questions are not a test of one’s knowledge but rather a confirmation of the candidate’s commitment to Jewish law and Jewish faith. The sponsoring rabbi is responsible for preparing the candidate to immerse according to Jewish law. The Beth Din must observe the candidate immerse fully with nothing remaining outside the water, not even one hair. After the candidate emerges, he or she recites a blessing and immerses a second time. Following the immersion, the candidate gets dressed, and the Beth Din and sponsoring rabbi recite a short text celebrating the conversion and bestowing the Hebrew name. After the conversion, the candidate will be sent a Certificate of Conversion. The Beth Din and the RCA will have it on file as well. $100 per applicant/$200 per family, payable to the Rabbinical Council of America, the national organization that oversees our Beth Din. In order to fill out an application, your sponsoring rabbi must contact our Beth Din. If we feel that you are ready, we will provide him with the password to access the application, which he will share with you. If your sponsoring rabbi was already given the password, click here.